As devout, passionate, and voracious readers, we’ve all seen the headlines. According to a 2007 National Endowment for the Arts report, young adults read fewer books in general. Nearly half of all Americans ages 18 to 24 read no books for pleasure. And reading is declining as an activity among teenagers. Less than one-third of 13-year-olds are daily readers. And, if we’re reading that statistic – or a similar one about the lack of reading – in a newspaper, we quickly flip the page and move on. If we’re reading that stat on a screen, we wince and shut down the window. Not reading a single book in a year is just unimaginable for most devout readers. It’s not that we’re judgemental of people who don’t read (okay, maybe sometimes we are). It’s more incomprehensible. We – just – don’t – understand – it. Reading is such a constant presence, a source of comfort, and an absolute pleasure, we can’t fathom a life without reading. 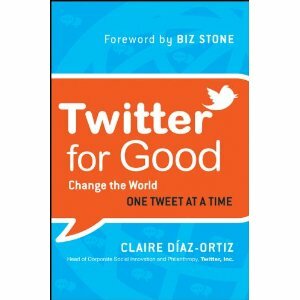 In a recent essay, Claire Diaz-Ortiz, a Twitter executive and the author of Twitter for Good, described her approach to reading 150 books in 2012. At first glance, Ortiz’s explanation sounds a little mechanical, she breaks down exactly how fast she reads. I know that I read about 200 words a minute, give or take. With business books this can be a bit slower given the highlighting and note-taking, and with fast-paced memoirs or the occasional novel (I don’t read many novels, but do love a good one) this is a bit quicker. With an average book length of 50,000 words, I can read one book in a little over fours. That means, I need about 12 hours a week of reading to enjoy three books cover to cover. The real key to Diaz-Ortiz’s volumnious reading habit comes at the end of her essay. Ultimately, I can read so much because I love reading. Love in a heart-thumping, breath-catching way. Whatever you love doing, and whatever you would do for free, is the thing that you will find time to do for 12 hours a week. Every week. Read Claire Diaz-Ortiz’s complete essay about reading 150 books in 2012. And, if you’re curious, here’s her list of 100 books read in 2011.